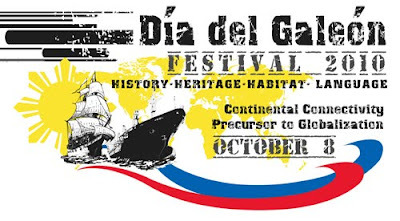 The Philippines is spearheading the commemorative activities under the first International Día del Galeón Festival, which will be held from September 15 to October 15, 2010. Culminating with a grand celebration in Paris on October 12, this festival will further push the Philippines into the international festival scene. At last year’s UNESCO General Conference in Paris, October 8 of every year was proclaimed as Día del Galeón (Day of the Galleon) in commemoration of the Galleon Trade between the Philippines and Mexico that took place between 1565 and 1815. The Philippines played a significant role in one of the most important trade routes in history and has thus taken to the task of organizing a monumental festival in tribute to the Galleon Trade. Also called the Manila–Acapulco Galleon, this trade route bridged Asia with Europe, the Americas, and Africa. It has brought a wide variety of Mexican influence to the Philippines, introducing Philippine culinary favorites such as the sampaloc, achuete, and, of course, tsokolate de batirol. In Mexico, chocolate was mixed with cinnamon and chiles; meanwhile in the Philippines, pure sugar and sometimes groundnuts and milk were added, bringing the Aztec drink to new heights. Not only did the Galleon Trade open the Philippines to new cultures and ideas, the world was introduced to Philippines. The Ylang-ylang, a fragrant flower sold in garlands till today in Manila, was brought to Europe via Mexico and is now the key ingredient in expensive French perfumes. The Barong Tagalog found its way to Mexico and Cuba and is now called Guayabera in those countries. The Baler 400 Steering Committee headed by Senator Edgardo J. Angara and the National Commission for Culture and the Arts (NCCA) have teamed up with national and international agencies in the careful planning of the event. International and renowned historians and artists are expected to speak and hold workshops for the festival. The Philippines will once again claim its glory in history’s Galleon Trade.